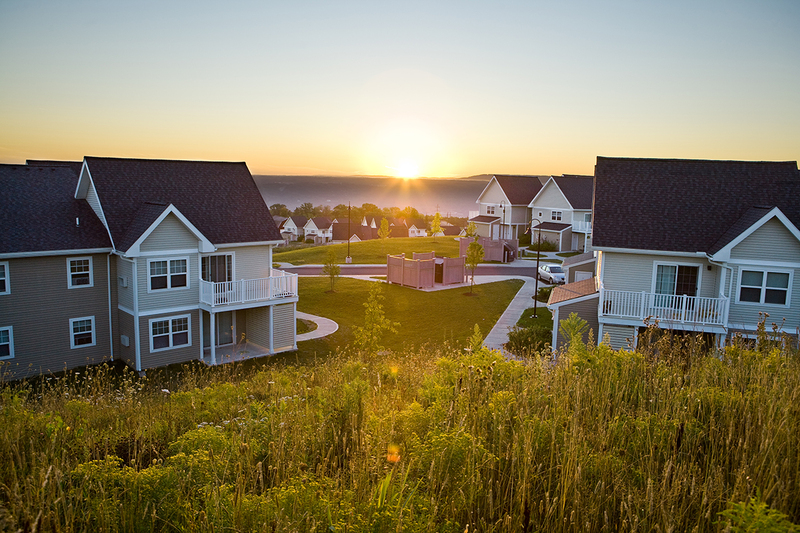 Overlook at West Hill is a 128-unit, affordable housing development located in the Town of Ithaca. The project site is located on NYS Route 96, with views of Cayuga Lake and conveniently located near Cayuga Medical Center on local bus routes. 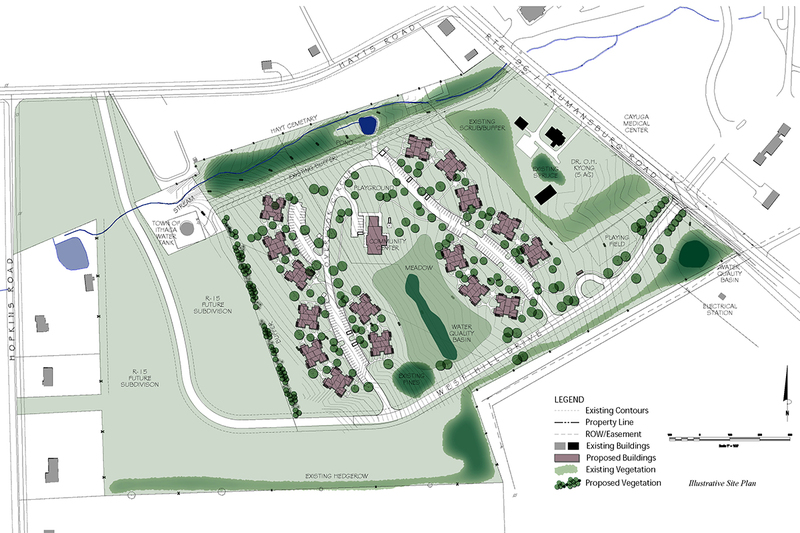 Project elements include 16 multiple residence buildings; a community center; a new road including bicycle lanes, parking and sidewalks; a playground and play field; landscaping, and contemporary storm water practices. 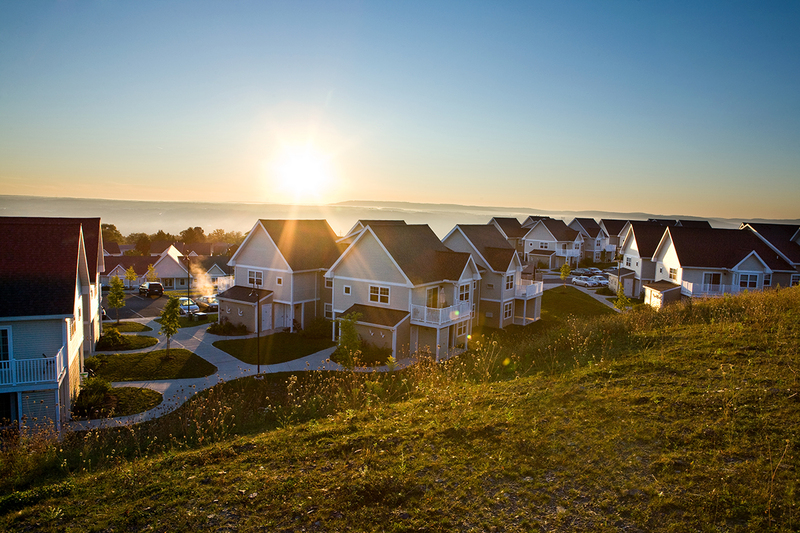 TWMLA developed the overall site master plan for three phases of implementation; two phases of affordable housing, and one phase of market-rate residential lots. Other important site elements included vegetated buffer and stormwater quality basins. TWMLA oversaw municipal and environmental reviews for the development, inlcuding preparation of a long environmental assessment form, rezoning and coordination of additional studies. A traffic impact study was prepared to assess impacts to traffic on NYS Route 96 including, intersection design plans for review by NYSDOT and for construction.